Gmail is coming with a new feature that lets users send self-destructing emails with a timer. 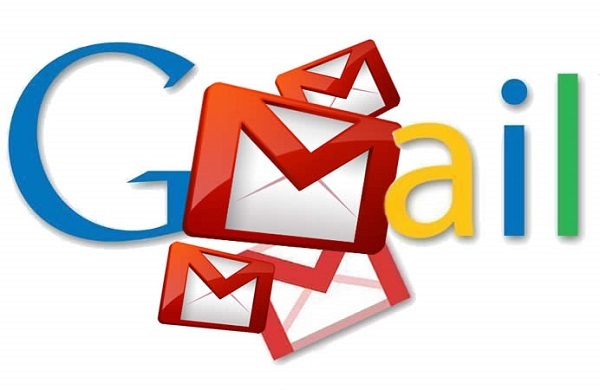 Google is looking to revamp its Gmail service and is bringing a bunch of handy features in an upcoming update. In our previous coverage, we posted screenshots of Gmail’s redesign and also detailed some of the new features it’s coming with. Now, a report has surfaced about a “confidential mode” for Gmail, which allows users to send emails that self-destruct after some time. Google is looking to improve privacy and has managed to make emails unreadable after a predefined time frame. Users can access Confidential Mode before sending an email, letting you decide an expiry period and after the email’s expiry, recipients won’t be able to print, read, or access the email’s attachments. 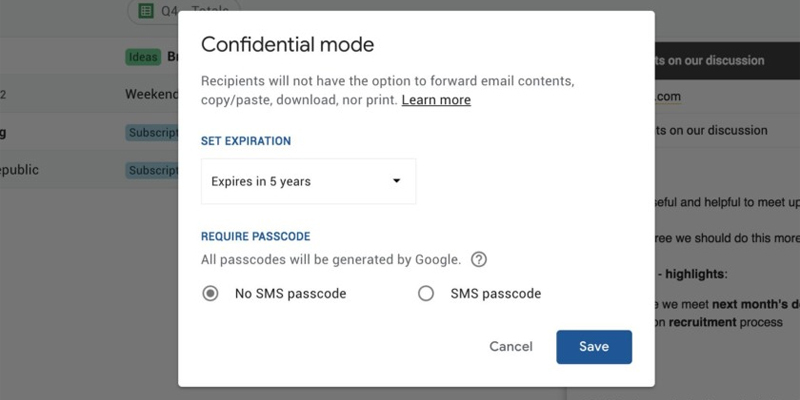 As seen in the screenshot above, the “require passcode” feature lets you encrypt your email with a Google-generated passcode, which can be used to access the email after it gets locked. This passcode will be provided to the sender and it can be sent to the recipient to unlock the email if needed. Other than that, users get to choose expiry times of either one week, one month, one year, and so on. According to TechCrunch, Google has not disclosed as of yet whether these emails will be end-to-end encrypted or not. This possibly means that the emails will only be unreadable for the recipient and still accessible by Google. 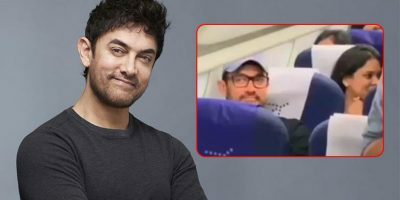 For now, the recipient only receives a link that redirects to the “hidden” message and Google might change that in the future. Google said that the new Gmail will be live in the coming weeks with an all-new design. The Confidential Mode feature might come along with the revamp but Google could also include it at a later date after making it more practical.